Great book, would have given 5 stars with a male reader - it was difficult for me to picture Dan doing these things with a female voice reading. This a wonderful narrative, and follows neatly after Three Cups of Tea. The author provides a lot of historical background on Afghanistan to help the reader understand the complex relationships of the area, greatly adding to the story. 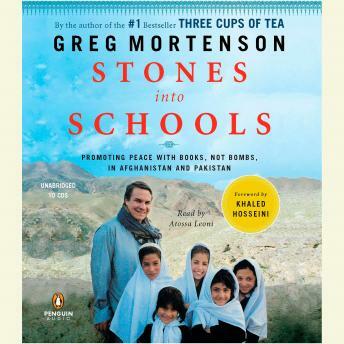 The only reason I did not give this a perfect 5 out of 5 stars is that it is narrated by a woman, when it is a Greg Mortenson's story...it just felt out listening to a woman speak Greg's words.